I only have 2 left, please order asap to avoid disappointment. This product is primary for South Africa. 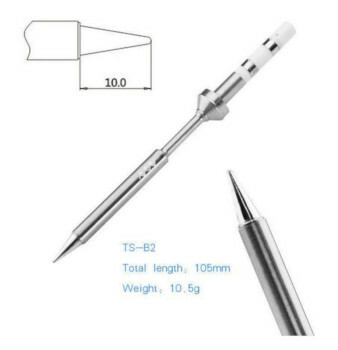 Control part: TS100’s shell is made of poly carbonate plastic, while employs 304 stainless steel embedment for inserting soldering tips. 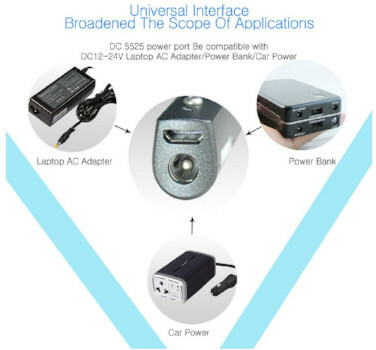 It is designed with safety circuit and anti-static structure, integrated with DC5525 12-24V port, dual-temperature sensors and accelerated sensors with STM32 chip. 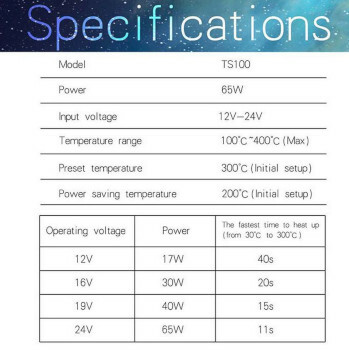 Under these features, the temperature can be controlled accurately, stably and easily adjusted from 100°C to 400°C, and the TS100 also has sleep mode and automatic over-heating warning. 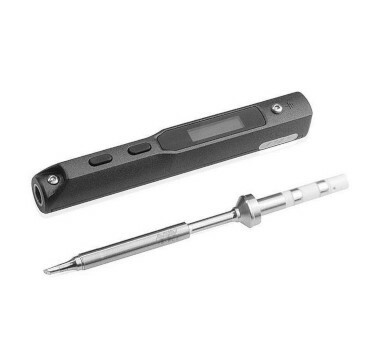 Soldering tip heating end: built-in heating core, pocket-size making it more convenient. 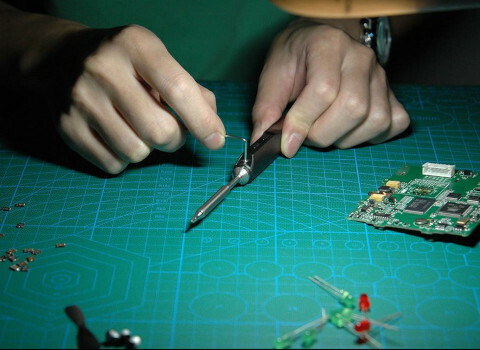 Seven replaceable tips meet your different needs. 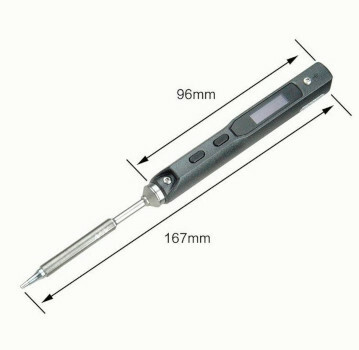 Soldering tip resistance to ground: <2Ω. Temperature range: 100℃ – 400℃ (max). Max operation ambient temperature: 40°C. 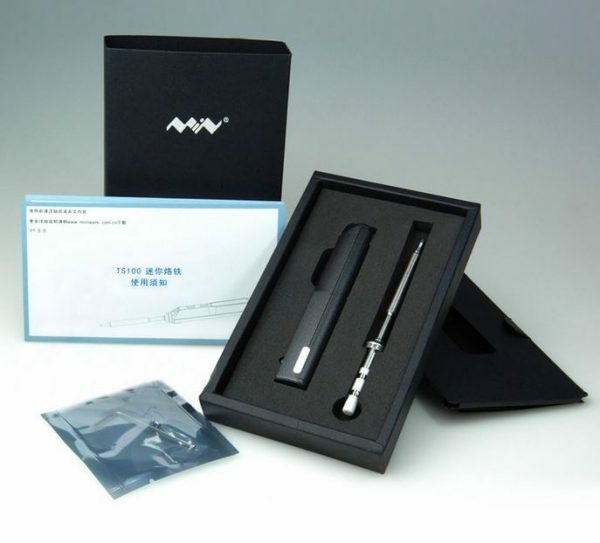 7 types of soldering iron tips available. Control part: length: 96mm, diameter: 16.5mm. Heating part: length: 72+33mm, diameter: 5.5mm. Compliant with EU certification: CE FCC. TS100 controller (black colour) ×1 (power adaptor not included).